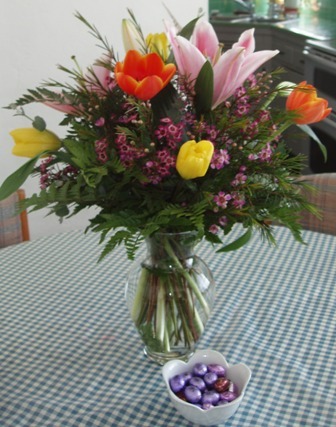 My son and daughter-in-law sent me flowers for my birthday this weekend! 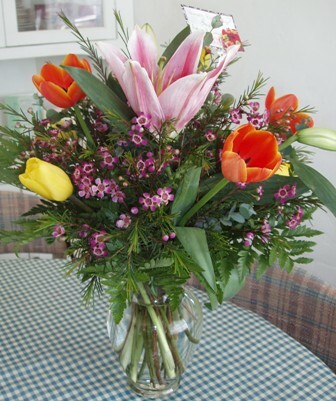 They were delivered out of the blue by a flower delivery person. A very nice surprise. The photos don’t do them justice! This entry was posted in Fun on March 20, 2011 by Karen Hancock. That’s so great! I’m happy for you! I hope you had a great and restful weekend, resting in the knowledge that everything is in God’s hands and all you are called to do is love and serve Him.